"Kim is a different person. He grew up in Switzerland. Would he rather live in Switzerland or North Korea? He can't go back to Switzerland, so he has to change North Korea." "When I was there, all the signs were about the military, defense and protecting themselves. Now everything is about the economy, how they can become more prosperous." "Railroads on the east and west coast will be rebuilt and restored ― the Koreas will become a transportation hub." "The curiosity factor is going to be very strong. As part of that, people will come to see the Koreas and the attractions here. 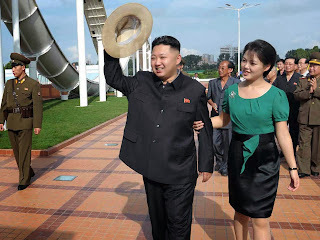 The Koreas will become a tourist attraction due to their own peculiar circumstances." "Since 2008, debt all over the world has skyrocketed except for in North Korea."